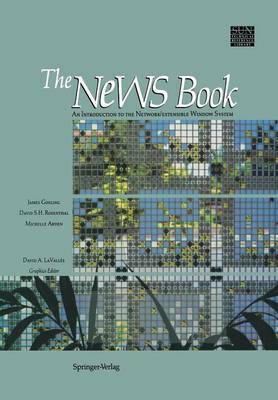 This book is an introduction to NeWS: the Networked, Extensible, Window System from Sun Microsystems. It is oriented towards people who have a basic knowledge of programming and window systems who would like to understand more about window systems in general and NeWS in particular. A significant portion of the book is devoted to an overview and history of window systems. While there is enough detail here to allow readers to write simple NeWS applications, the NeWS Reference Manual [SUN87a] should be consulted for a more complete treatment. This book was written to refer to the NeWS 1. 1 product, available from Sun and also available from several non-Sun suppliers. Shortly after this book is published, Sun will be releasing the next version of NeW- the Xll/NeWS merged window system. Chapter 10 is dedicated to an overview of that product, but Xll/NeWS deserves a book of its own. All the code examples in this book have been tested on both NeWS and the Xll/NeWS merge. Should there be another edition of this book, we will discuss some of the new development being done in the user interface tool- kit area on NeWS. Significantly, the NeWS Development Environment (NDE) is now being developed at Sun; NDE promises to eclipse existing user interface toolkit designs and window programming environments.